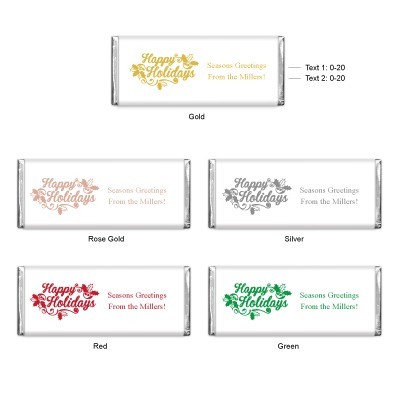 We bought to use as little Christmas goodies. 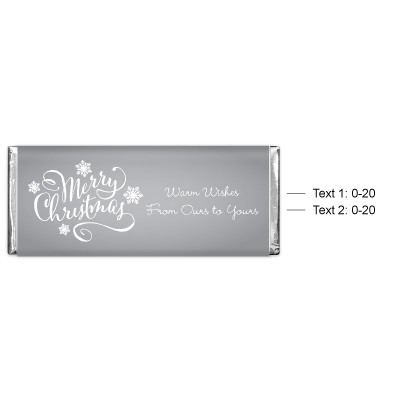 The wrapping falls off to show clear tape holding the package underneath together. 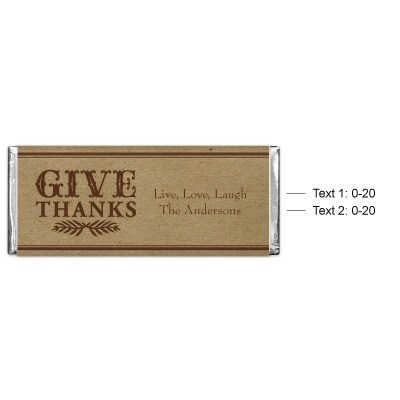 Very tacky. 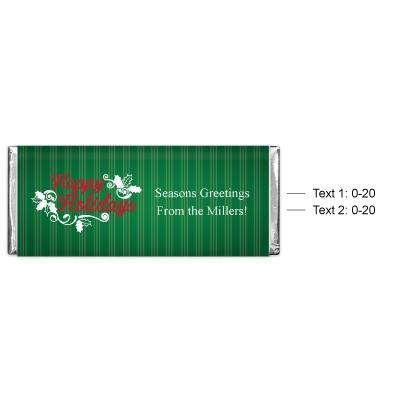 This is an elegant little chocolate that is the ideal size for mailing with Christmas cards. 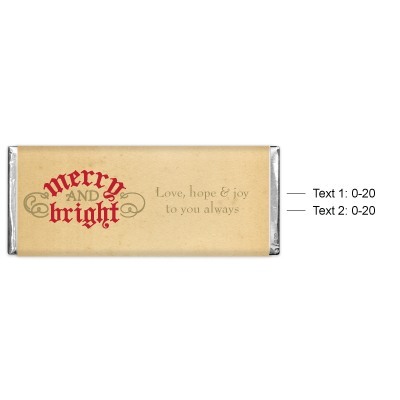 Hershey's chocolate has been putting smiles on faces for over 100 years. 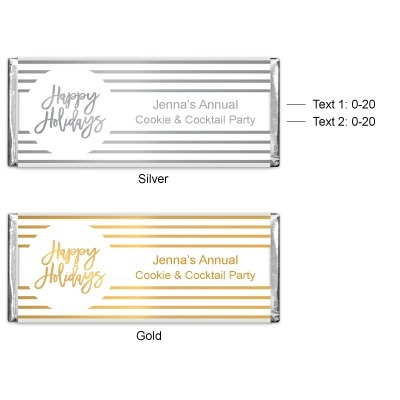 Put smiles on the faces of your friends and family this holiday season with personalized holiday Hershey's chocolate bars as party favors. 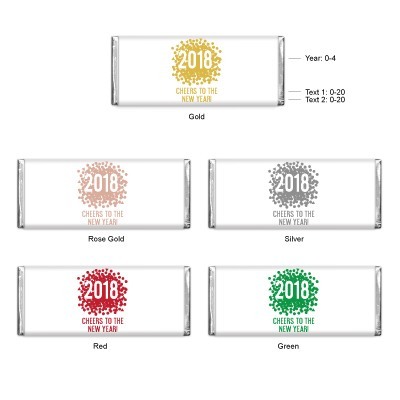 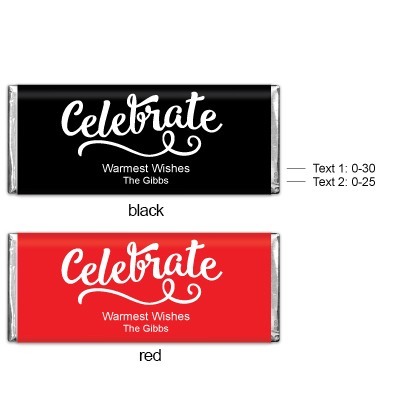 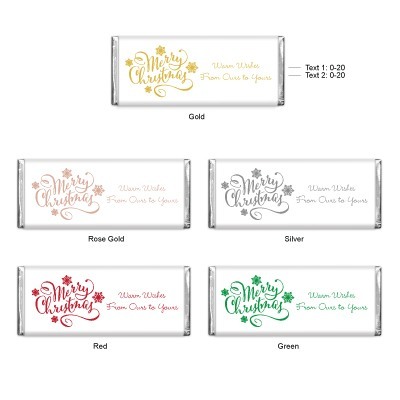 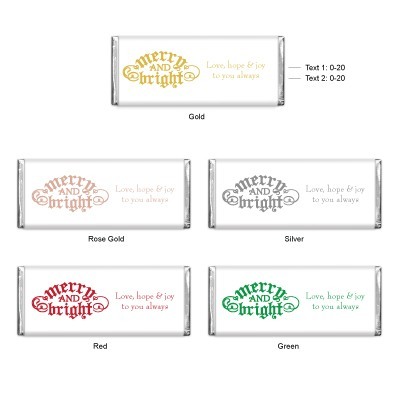 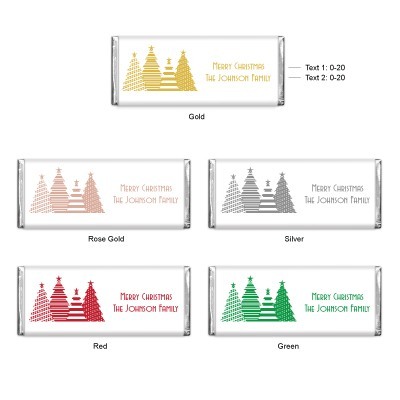 We've given the classic 1.55 oz candy bars a new look with these festive holiday wrappers. 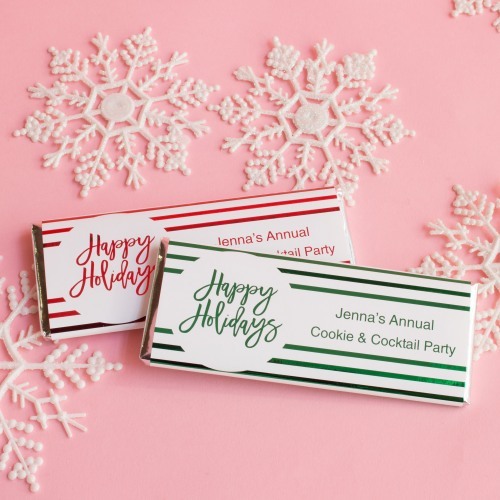 Our personalized holiday Hershey's chocolate bars are perfect for holiday parties and corporate events, or as stocking stuffers! 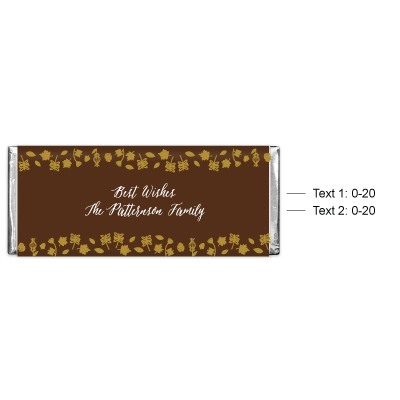 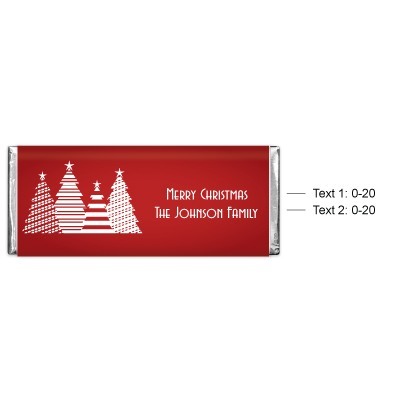 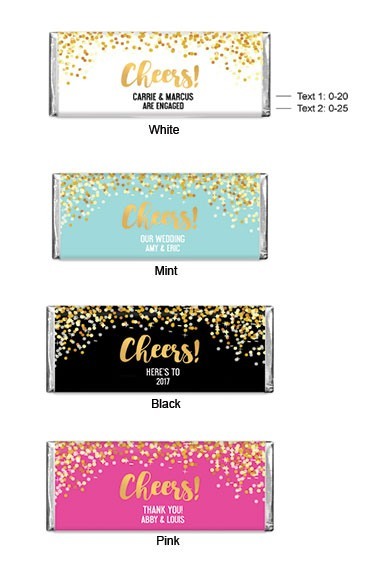 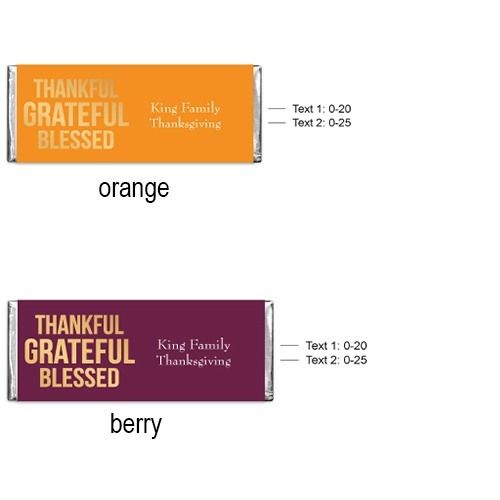 With dozens of unique holiday designs available, find one that fits your style and customize your wrappers with two lines of text (up to 30 characters each) and choose the design for the back of the wrapper to truly make your favors personal. 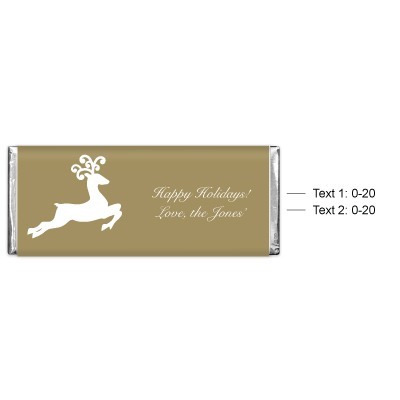 Matching holiday designs in our personalized tea and personalized hot cocoa are also available! 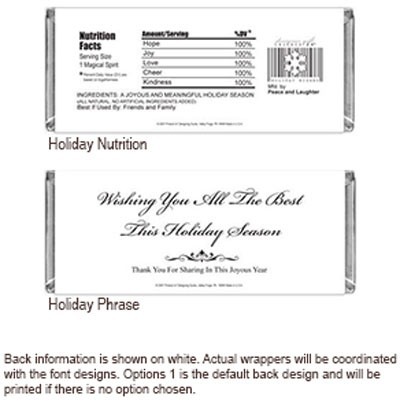 You may also purchase "labels only" to adhere to your own Hershey's Chocolate Bars. 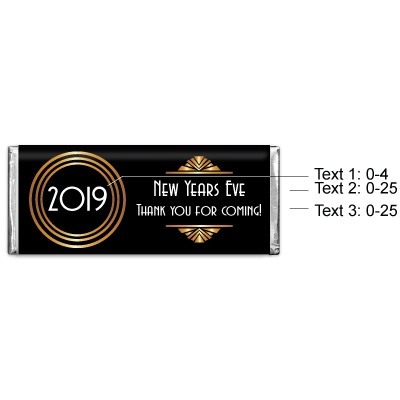 Adhesive not included. 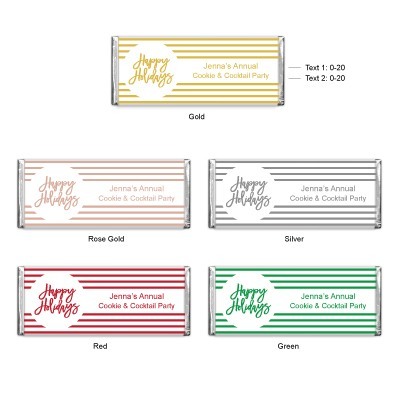 This is a popular option for destination weddings or overseas weddings.